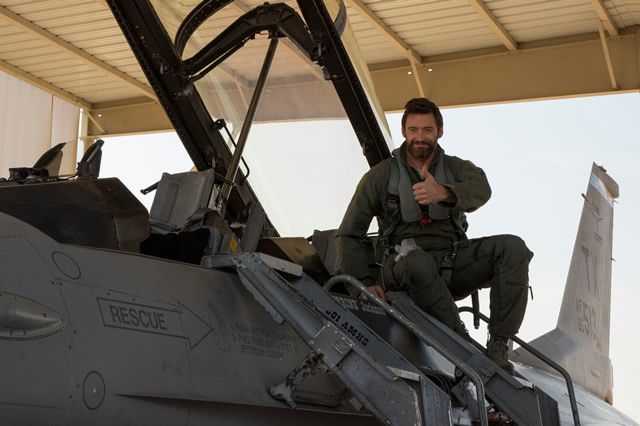 We can neither confirm nor deny rumors that Hugh Jackman joined the United States Air Force. Here he is in an F-16 at Naval Air Station Joint Reserve Base Fort Worth on Friday. Might we suggest a new call sign? "Wolverine."